Synopsis: A bomber on board an airplane, an airport almost closed by snow, and various personal problems of the people involved. Did You Know? Despite receiving a 10% bonus profit once the film hit $50 million at the box office, Burt Lancaster regarded the film as “the worst piece of junk ever made”. The shining performances were Helen Hayes and Maureen Stapleton; it’s no wonder they each earned themselves Oscar nominations for Supporting Actress. Hayes, in particular, was tremendous as the cunning old lady who sneaks her way onto various flights. That being said, I can’t imagine the film gaining any Oscar nominations if it had been made today. For one, it wouldn’t have had such a strong ensemble cast. For two, there’d be a lot more cheesy explosions. If anything, the movie would have earned itself a number of Razzie nominations. 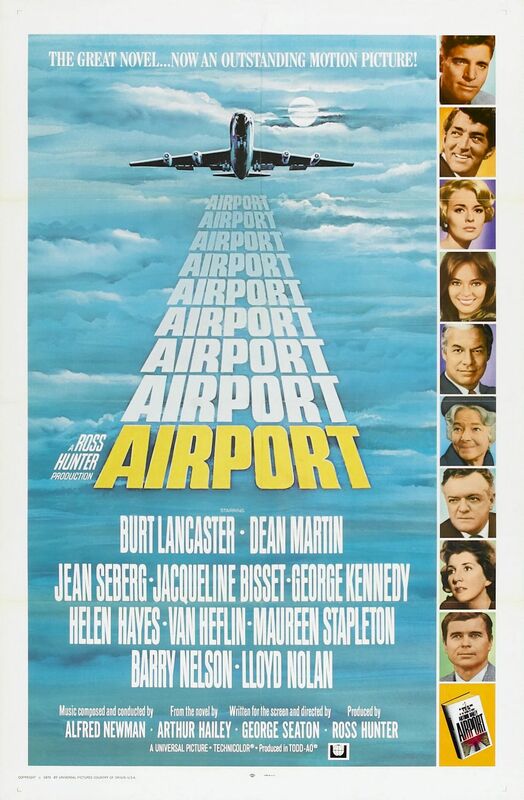 However, Airport was the precursor to the disaster film subgenre, when most films were still resplendent war epics, uplifting family comedies, or thought-provoking dramas; undoubtedly the Academy was in awe of Airport.